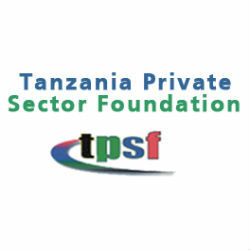 In order to ensure increased participation of Tanzanians in the oil and gas sector the Tanzania Private Sector Foundation (TPSF) announced the formation of Tanzania Oil and Gas Corporation PLC. The primary motive behind the formation was to give Tanzanian a platform to actively participate in the oil and gas industry by entering in joint ventures with foreign firm in the sector. A condition was also framed that any individual, company, association of individuals or any related companies could not buy more than 5% of the totals shares available for distribution. This move was intended to ensure more people get the opportunity to buy the shares of the company. Dr Reginal Mengi TPSF Chairman said that he hoped there would be capacity building taken up by this company along with a boost to the supply chain in oil and natural gas.